The first short stop was at Neskowin Beach, located just a few minutes south along Highway 101 from Nestucca Bay. It was a hot spot for families, so I kept the layover here short; playing children often do not mix well with bird watching, although the gulls and crows did not mind them one bit. In fact, I’m pretty certain they were glad to see them and hoping for handouts! Gull identification can be very tricky, and I’m always left pouring over field guides and images to determine which gull is which. 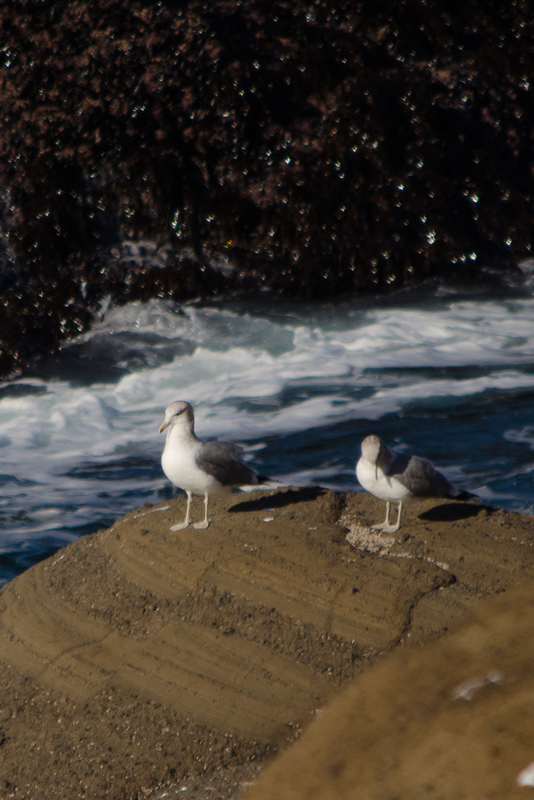 Leg color can be a major identifier: Western gulls (above) have pink feet and legs at all ages, all year round; California gulls (below) have yellowish feet and legs. There were a couple of unexpected sightings while I was here, and it’s enough to make me want to swing in again on future visits. A few common ravens were sharing the beach with the crows, although definitely keeping a greater distance from the humans. 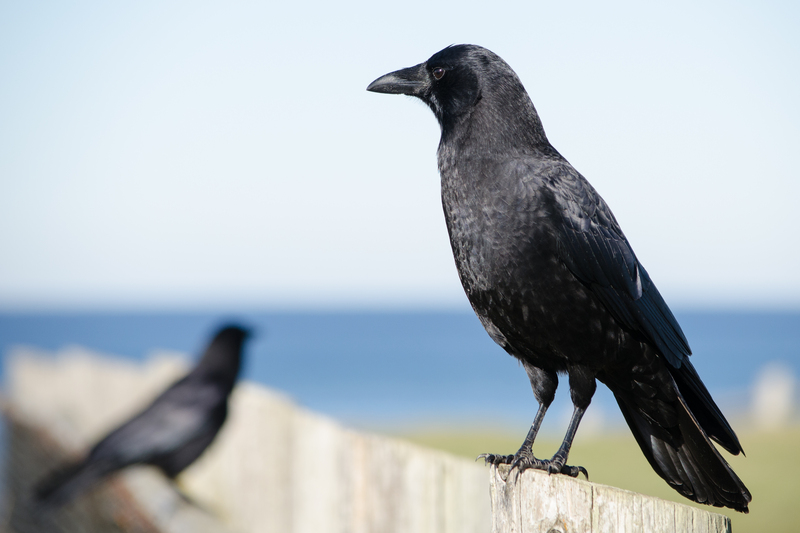 A key point on telling the two all-black birds apart is the shape of the tail; ravens have a diamond-shape, while crows are squared off. A male belted kingfisher noisely announced his presence where Neskowin Creek works its way down to the ocean. The males have a clear white belly, while females will have a rusty-colored band. He spent some time perched on a metal railing and then hovering above while checking for a bite, before eventually moving upstream. Moving along myself, I also took note of red shafted northern flicker and chestnut-backed chickadees in the trees around the parking area and along the creek. I paused briefly near Siletz Bay, where Schooner Creek comes in (many know it as “near Mo’s”, famous for their clam chowder); there were several gulls around, and this is definitely an area in which I need to improve my identification skills. This spot is marked on my map as a potential spot to revisit for practicing. Moving on, I pulled into the viewpoint overlooking Boiler Bay; this is a location I have stopped at previously for the views, and it never disappoints. I picked up several birds for my list here, spending more time than I had anticipated I would for such a small spit of land. Pelagic cormorants went by, low over the water; unlike the more familiar to me double-crested cormorants, these birds have a dark bill and hold their necks straight in flight. 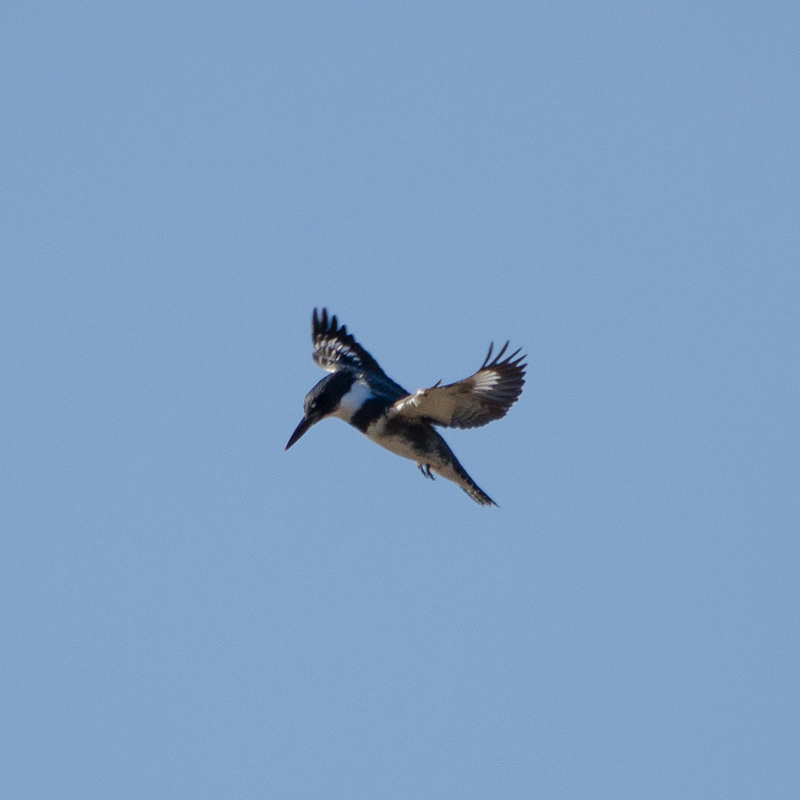 They look a bit like giant ducks in flight at first-glance, but the hooked bill shape and slower wing beats quickly stand out as something different. 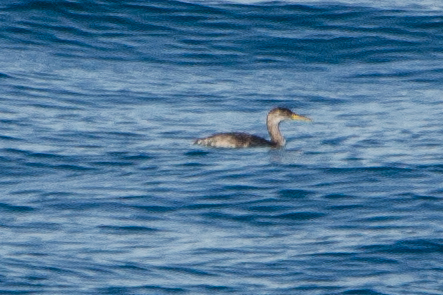 A red necked grebe (left) bobbed in a calm spot, diving periodically and staying down for long periods. 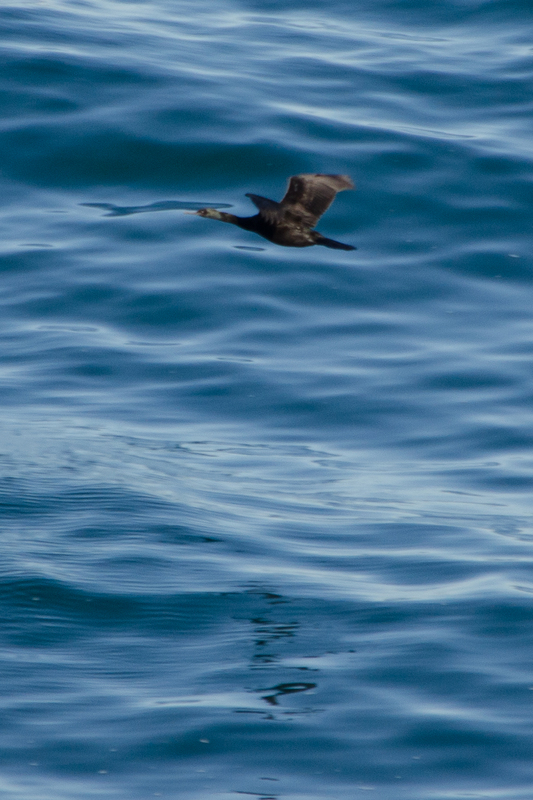 Catching a clear image of this diving bird was a challenge, as he never came up in the same spot. 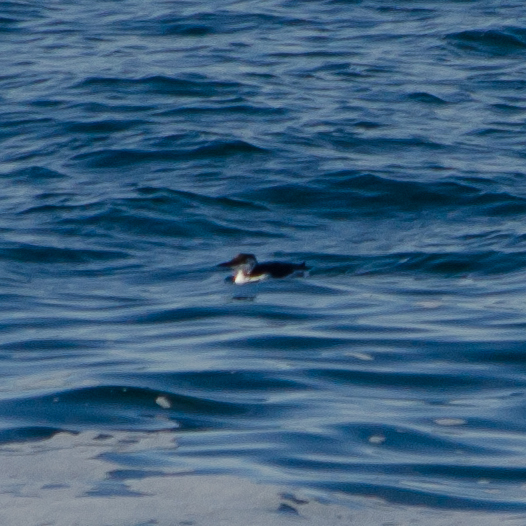 Another new bird bobbing in the water was a common murre (right). This one was on its own, and content to just float along. 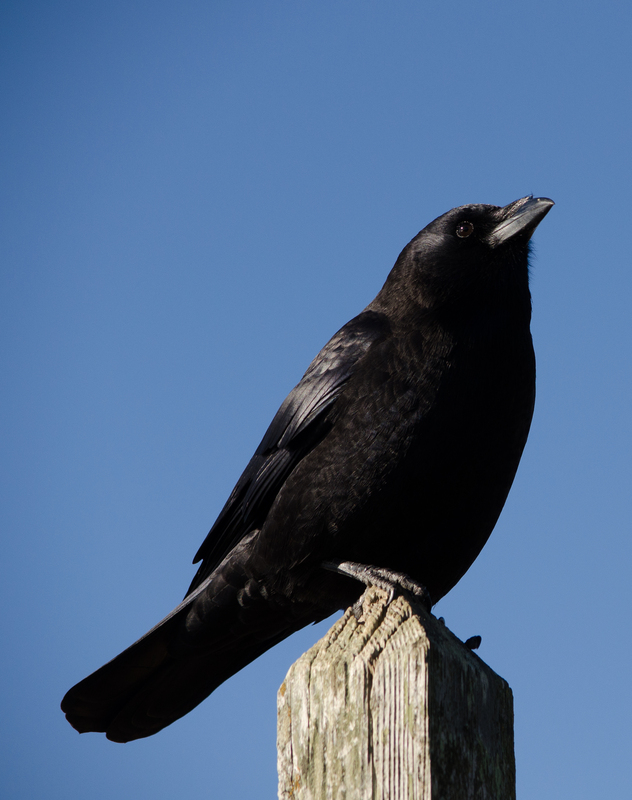 There were several American Crows hanging about. As common as they are, I enjoy watching these clever birds. I also like the challenge presented photographing an all-black bird in different lighting conditions; getting the details to stand out can be hard to do, as they will often fade into the overall darkness of the bird or be so strongly highlighted the rest of the image looks washed-out. Finding the right combination of settings to balance the picture is great practice. Of course there were plenty of gulls about. 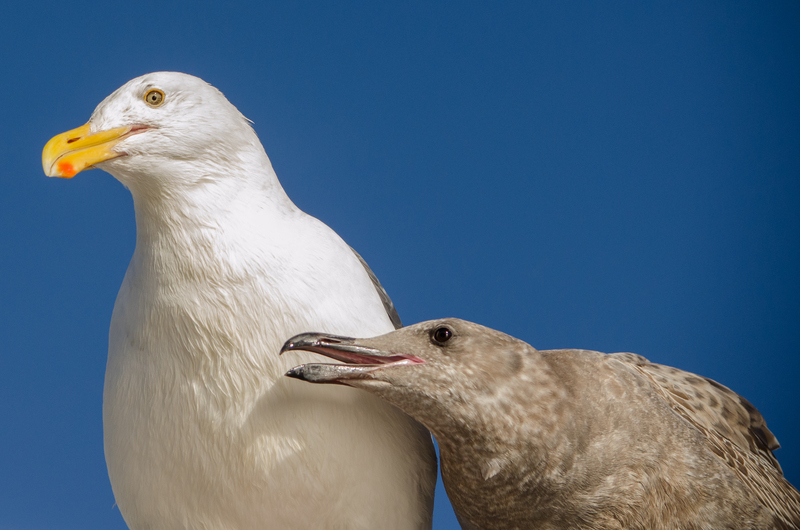 No coastal location is complete without gulls! The next stop on my list was another favorite for any trip I take to this stretch of Oregon’s coast: Devil’s Punch Bowl. It is one of those locations almost everyone knows about, and provides some amazing and dramatic views at times with the very unique shape of the coastline here. Not to mention the Punch Bowl itself, which is an old sea cave with an eroded top leaving it open to the sky. 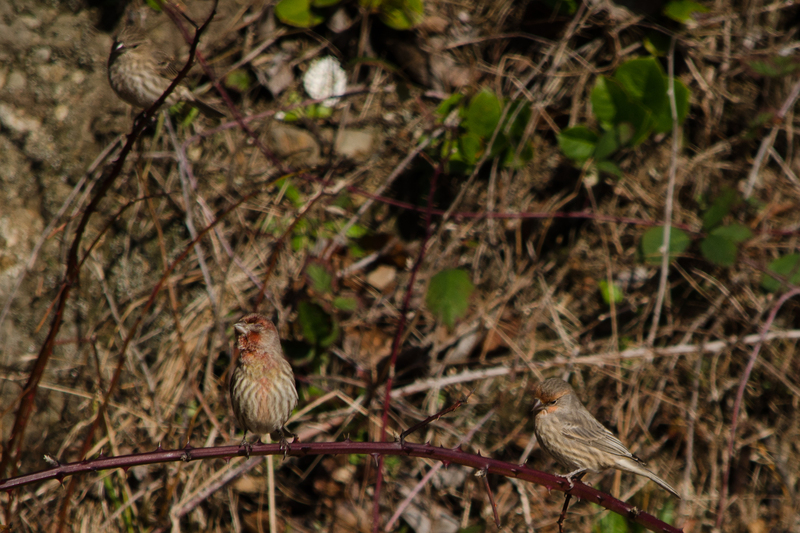 Walking down to the beach here, I was surprised to find a couple dozen house finches flitting about in the brambles at the base of the stairs. They were certainly enjoying the sun. There were more gulls and more crows at this viewpoint as well, but not much else in the way of birds. They had apparently all gone up the coast to my last stop at Boiler Bay. A short time later, it was time to head on to my final destination. Newport has long been one of my favorite locations on the beach. It’s close to so much to do, all year round, and it’s not all tourist-y. The obvious place to start my birding here seemed to be the old bay front; at the very least, I was guaranteed to see the famous California sea lions that are always present. You can hear them all over the town, and they were present in huge numbers on this visit. Turning my camera towards the birds I’d come to see, it did not take long to spy a few more new feathered additions to my list. 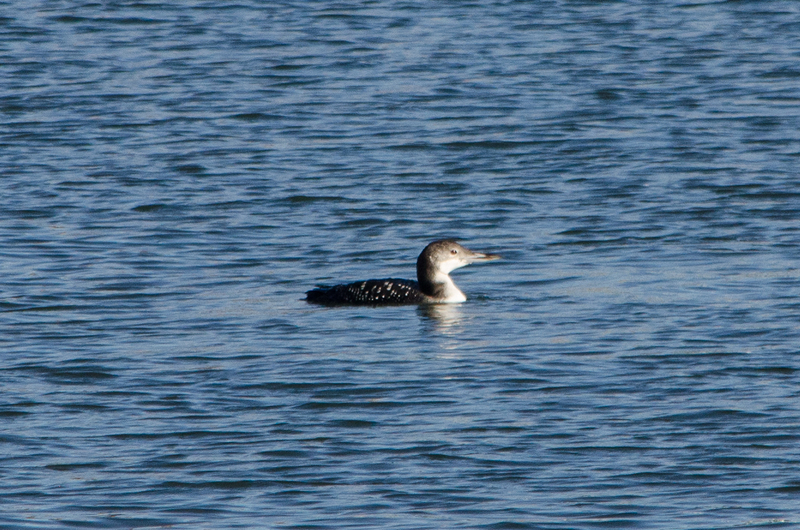 A common loon was nearby, paddling between boats. I have to wonder, how many times have I looked at birds that are new for my list but which I have seen countless times before? This was certainly one of those which prior to my taking up birding I would not have known what I was looking at. The winter plumage is far different from the summer look that comes to mind for most people. 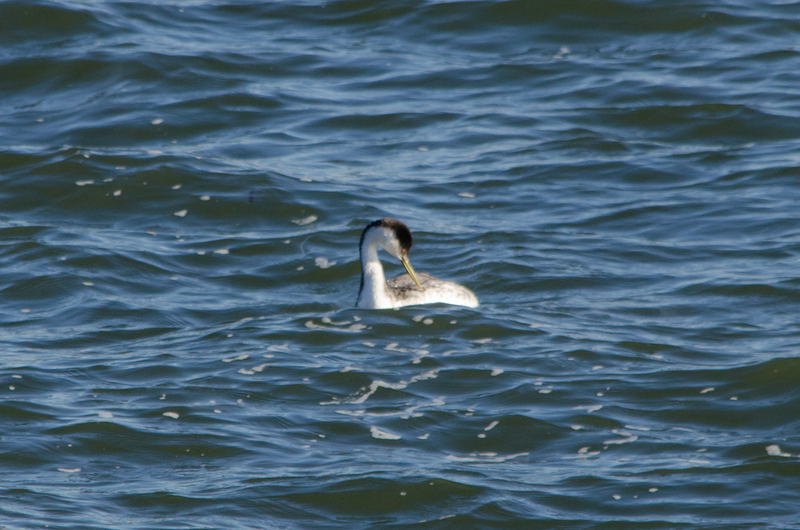 Western grebes were also fishing in the area. So similar to Clark’s grebes as to be at times impossible to tell apart during the winter, I am fairly confident with my identification on this one for a couple of reasons: The western grebe has a more greenish-yellow bill, where Clark’s has a bright orange-yellow; also, under the eye this bird has a dark smear, and on Clark’s it is often white underneath the eye. The flanks are whitish on these birds, where Clark’s is more gray. There were, of course, a huge number of gulls present around the bay front as well. They were on the piers. On roofs. On boats. In the water. In the air. Eating, grooming, bathing, calling, floating, standing, laying. People-watching. A couple of my favorites were younger birds. One stood on a roof right above where a family was crabbing, curiously watching all of the people until what I am guessing was the mother bird came to land beside it. Then the people were no longer even worth noticing as the younger bird appeared to be begging the older bird. 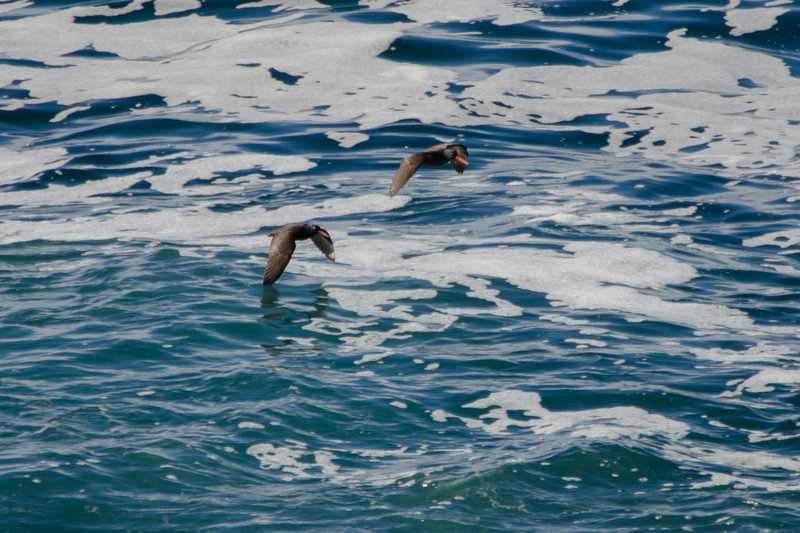 Based on the markings, I believe they were Western gulls. 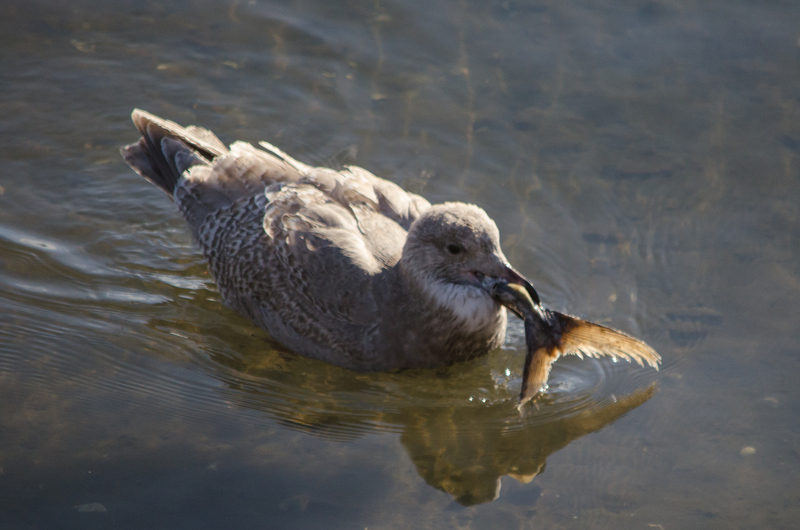 Another young gull had itself a fish tail too big to swallow. It carried it around for quite some time, holding it at all different angles but never quite able to get it into a proper position to eat it. 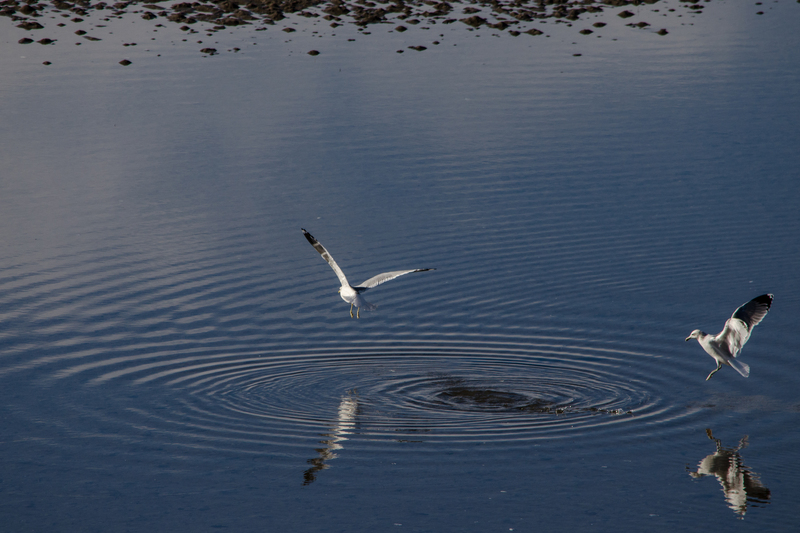 Other gulls came by, and it would drop the tail in shallow water and stand over it until they left or moved further away again. 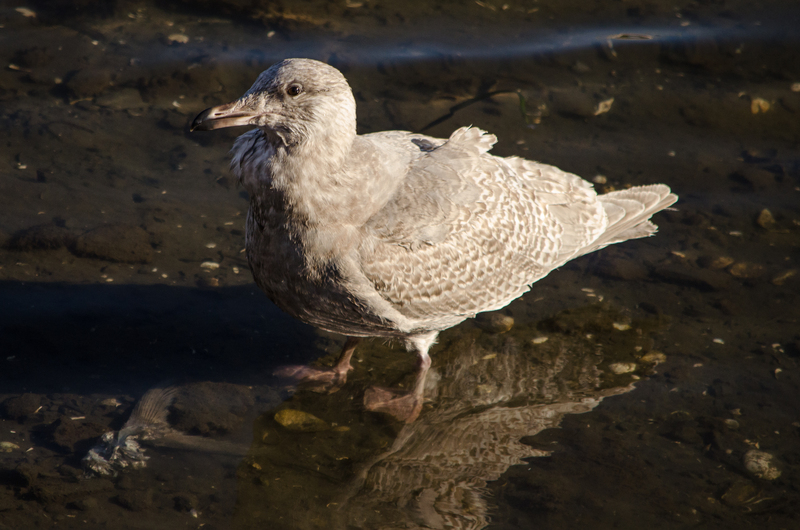 Based on the well-defined black markings at the end of the bill and the overall coloration, I believe this is a juvenile glaucous gull. As the day crept towards a close, I changed locations for a better view of the sunset. Yaquina Bay State Recreation Site is just a short drive away (it could even be a walk on a warmer day) and provides some fantastic views out to sea. 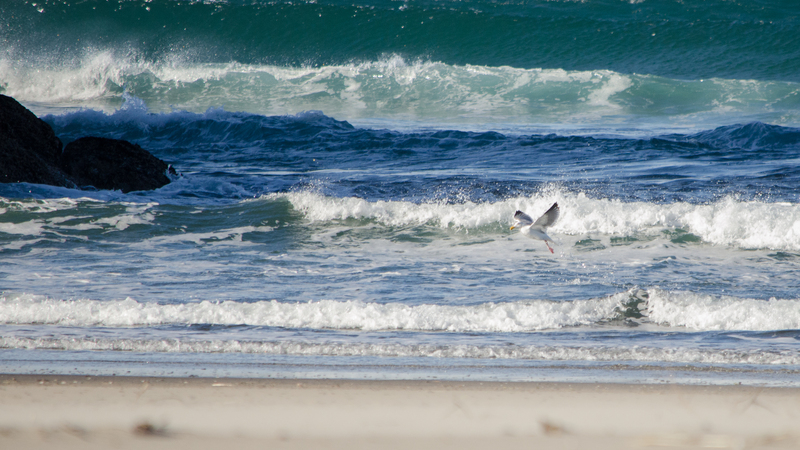 As I walked out over the low dunes, a number of sea birds were coming inland on the ever-present wind that had been blowing all day. 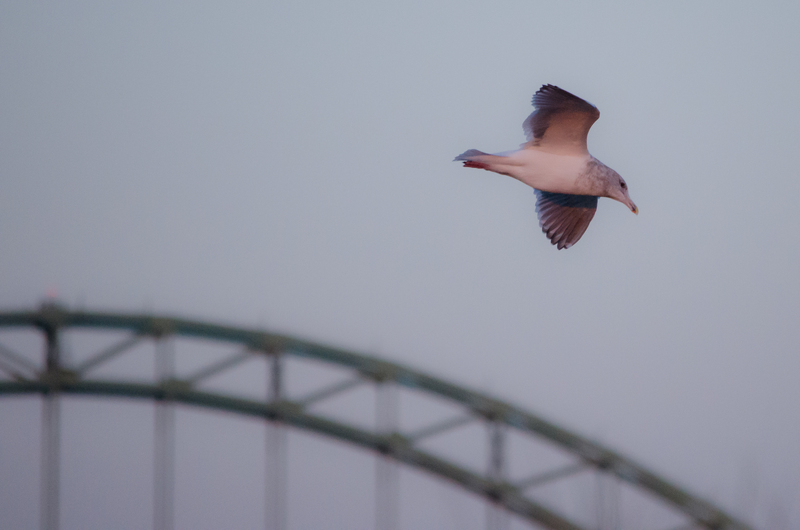 Working my way out along the jetty provided some fantastic photography opportunities as they flew in against the wind, at times almost hovering overhead. Just off the jetty, one last new addition to my list for the day was waiting for me to spot it: a small flock of surf scoters, a very unique looking sea duck, was floating amid the choppy waters. 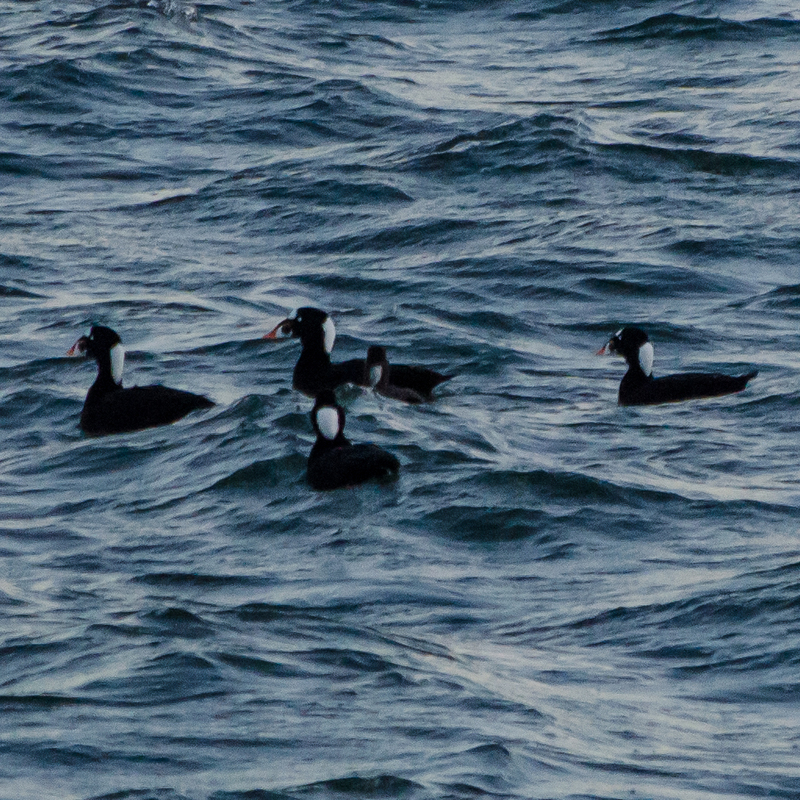 These black and white ducks have some distinct bills with bits of bright orange, making them easy to identify. 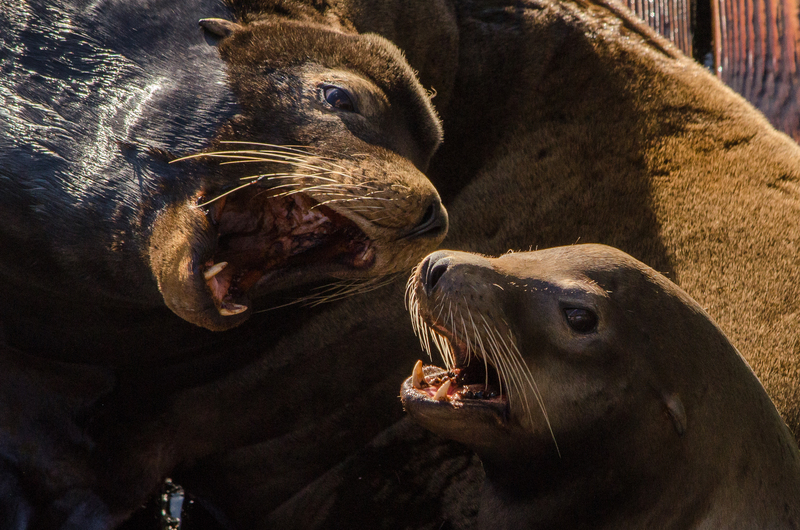 While the birds were coming in to shore for the night, apparently the sea lions were heading out to sea. Several small groups were going past at a fairly close distance, and they would stop to curiously poke their heads out of the water and look up at me on the jetty, barking and snorting. The first time this happened, I deemed it coincidence, but as each group continued to repeat the behavior I decided that the wildlife had begun watching me. It seemed a good signal that my excellent day trip to the coast was now all wrapped up. Other birds seen on the final leg of my trip in Newport include yellow-rumped warbler, great blue heron, song sparrow, double-crested cormorant, and red-tailed hawk. 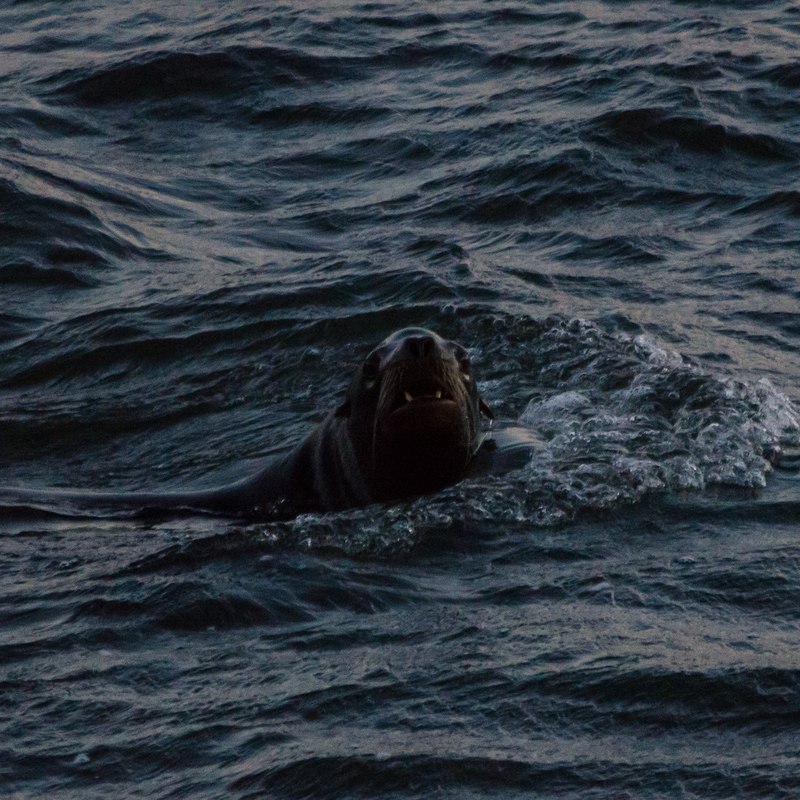 There was also a lone harbor seal which popped its head up in Newport while staying away from the sea lions, and a rough-looking cat hanging out near some fishing and crabbing gear. All in all, there was a total of 13 new birds for my 2014 Count photographed on this trip (five at Nestucca Bay NWR, and the rest gathered between Neskowin & Newport). 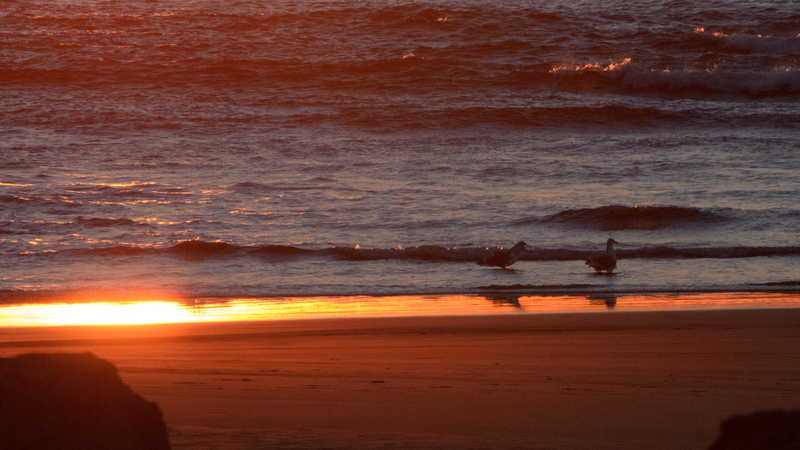 For more images from my birding trip to the Oregon coast, be sure to visit my Flickr site. Comments are always welcome! 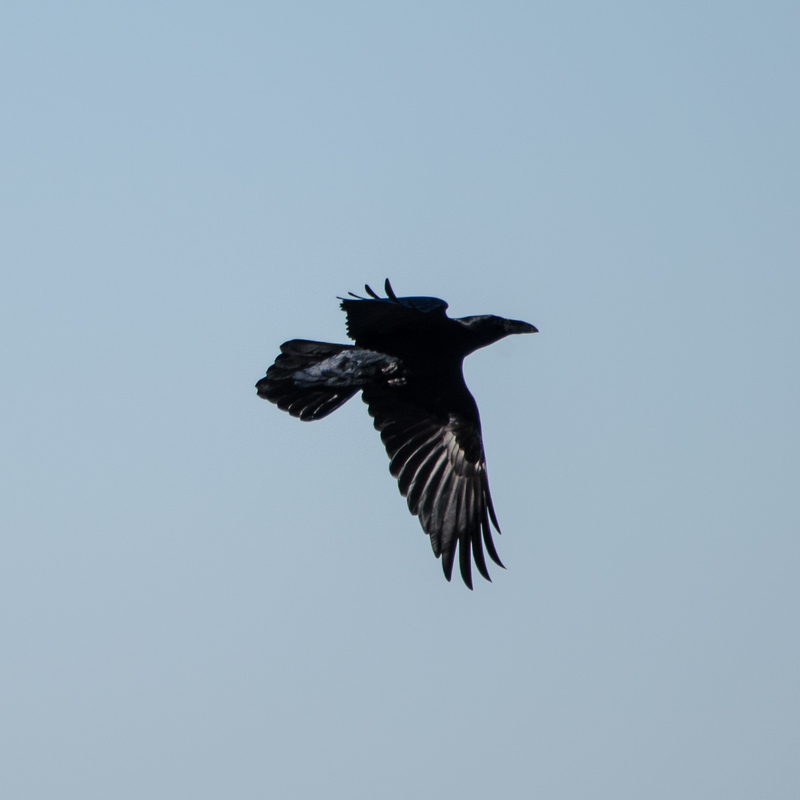 Fun fact for you…another way to tell ravens from crows in flight is the wings of crows are straight across and the wings of ravens are pointed back!